InstaSpaces.co is LIVE! Time to Eat. Drink. Work! We love Lagos. We love our work place and all the energy that comes with working with vibrant colleagues. But there are times we just want to work alone or change environment. We want a place where the noise is not familiar, the music is not too loud, the voices aren’t familiar and a place we get to eat, drink, unleash our creativity and work at the same spot. While you’ve been thinking how you will get this, we also have been working on your behalf. And we have a solution! What is it? 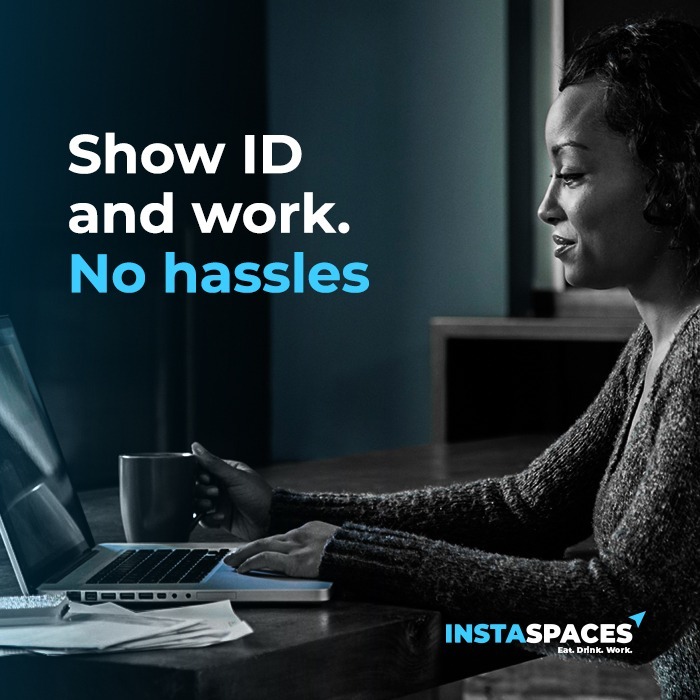 InstaSpaces is a platform that allows you to work from Cafés in multiple locations in Nigeria anytime you want to. An InstaSpaces’ membership gives you up to 15% discount on all food and drinks sold on our partner’s menu. We are working with some incredible Restaurants and Cafés like KrispyKreme, Café Neo, Burg, Mint, Nuts About Cake and others where you can eat, drink and get work done. With other features like Boardroom access for official meetings at Venia Locations, access to Graphics, Accounting, Legal, and Printing services at a discounted rate, monthly invitation to The Boardroom Master class, Virtual Office Address and so much more! InstaSpaces is the new deal. Subscription is just NGN 15,000 for a year and NGN 5, 000 for a quarter, amazing, right? Because you’ve read this mail, Sign Up Now and get NGN 4,000 OFF the yearly subscription or NGN 1,000 OFF the quarterly subscription. Simply use the code: INSTASPACE2018 on the platform.